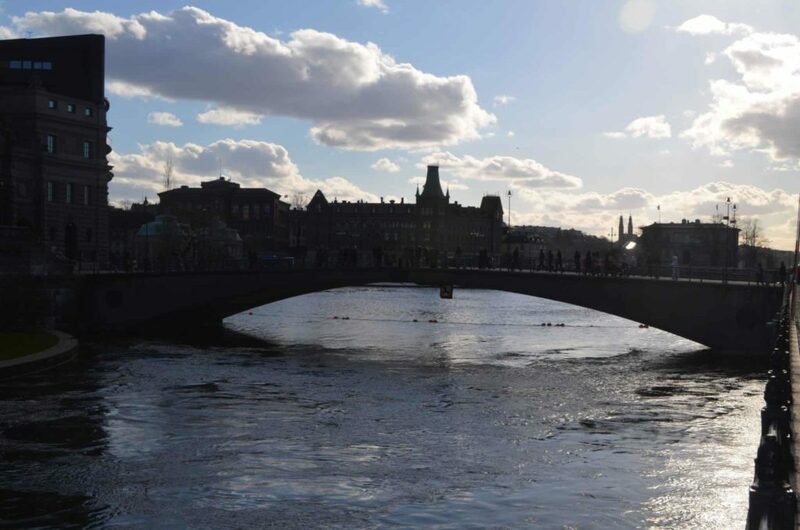 Nicknamed the Venice of the North, Stockholm, the capital of Sweden, quickly became one of my favourite cities. Made up of 14 islands in the inner city, Stockholm is a Scandinavian gem with tons to offer. Although it is also one of the most expensive places I have been (yay for $10 beers), my two days in this city were worth every penny. Stockholm boasts four airports. The Arlanda airport is the main international airport and served by many major airlines. As the biggest airport, there are plenty of ways to get into the city centre including airport busses, city busses, the Arlanda express train, regular train, and of course taxi. Your best bet is to take a stop at the welcome office and ask for advice on the best (and possibly budget friendly) way to reach the city depending on the time of your arrival. The three other local airports are Bromma: mostly for domestic flights or flights to nearby Scandinavian and Baltic countries, Skavsta Airport: home to Ryanair and Wizzir flights, and finally Västerås airport, which runs Ryanair routes to London. Stockholm also has a major bus station (Cityterminalen) and Train Station (Stockholm Central) which offer connections to other major cities within Sweden as well as Copenhagen. Some bus lines also offer journeys to major European capitals including Berlin, Prague, Budapest and Zagreb. Stockholm is well connected; but it’s much cheaper to use your own feet. However, as the city is made up of multiple islands, this isn’t always the most time-friendly option. For those unable to walk large distances, or are pressed for time, the city offers regular public transportation by way of bus, metro, train and boat. Bus stops can be found throughout the city, but be aware that tickets need to be purchased ahead of time (your hostel or hotel will usually sell them) as they are not for sale on the bus. For those looking to hop over to another island, a boat is probably your quickest option. Tickets can be purchased at the machine on the dock, where you may also have to press a button to call the boat to you. It’s not cheap, I paid $7CAD in 2014, but it did save me probably 30-40 minutes of walking. For those staying a couple of days, it may be worth looking into a hop on hop off bus and boat ticket, or Stockholm Pass which includes the cost of transportation. If the weather is nice, you may also want to consider renting a bike. Stockholm offers a variety of accommodation choices. If you are looking for a neat experience, I highly recommend staying on a ship. I choose the AF Chapman Hostel and it quickly became one of my favourites in terms of the ‘cool’ factor. There are plenty of boat hostels in the city, just make sure to read the reviews first; I was told by other travellers that some are rather old and dirty. 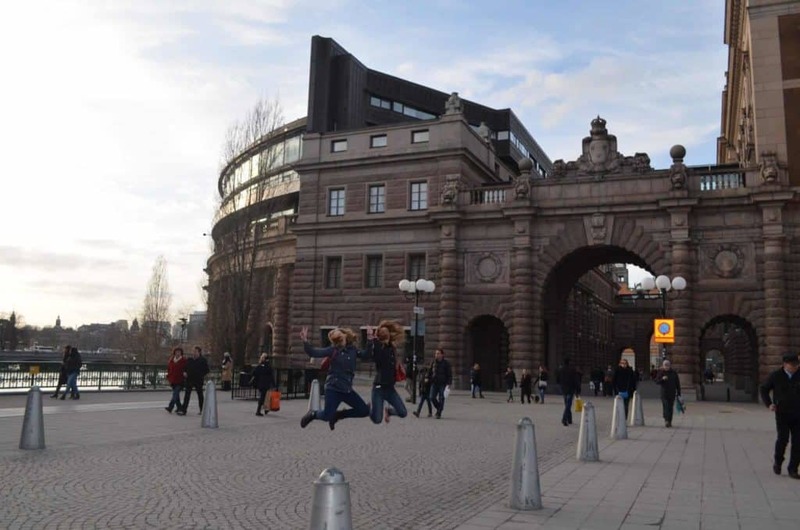 If you are looking for something on land, check out the Scandic Gamla Stan in old town (Gamla Stan) And don’t forget about Airbnb, which often has affordable options. Stockholm is full of 4* hotels, but they come with a high cost. Last minute bookings are generally not a problem, and although they may be a little cheaper, will still cost a pretty penny. Inexpensive beds in dorms are hard to come by, so make sure to book in advance. Given that the city is so large and spread out, location is an important thing to keep in mind. Accommodation near Gamla Stan or the Sergels Torg and Drottninggatan areas will have lots to offer in terms of restaurants and entertainment. 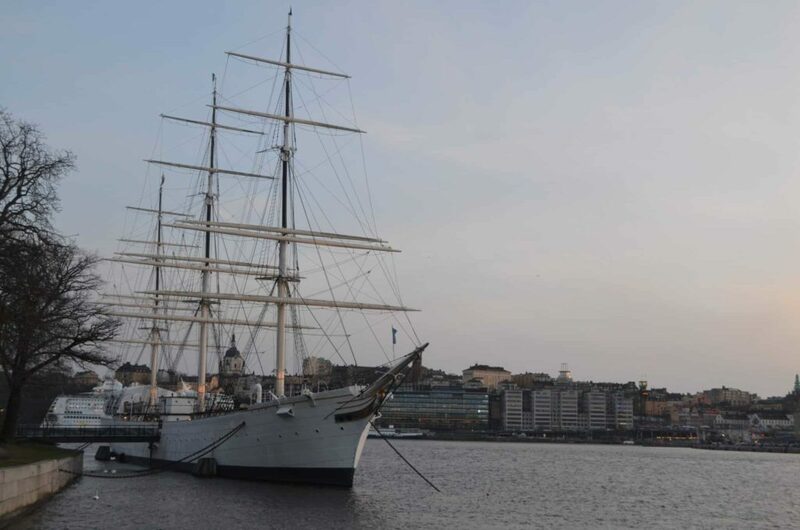 While other areas, such as Skeppsholmen Island (home of the af Chapman) have no restaurants to speak of and require a 20-30 minute walk to find food. Gamla Stan, or Old Town, is, in my opinion, the prettiest area of Stockholm. Once considered the grungy part of the city, this island has been cleaned up and is now boasts some of the most expensive real estate. Exploring the cobble stone alleys, and winding paths is the perfect way to spend a few hours. Little stores, coffee shops, and restaurants are a dime a dozen, making it the perfect place to shop for souvenirs and sit for a break. 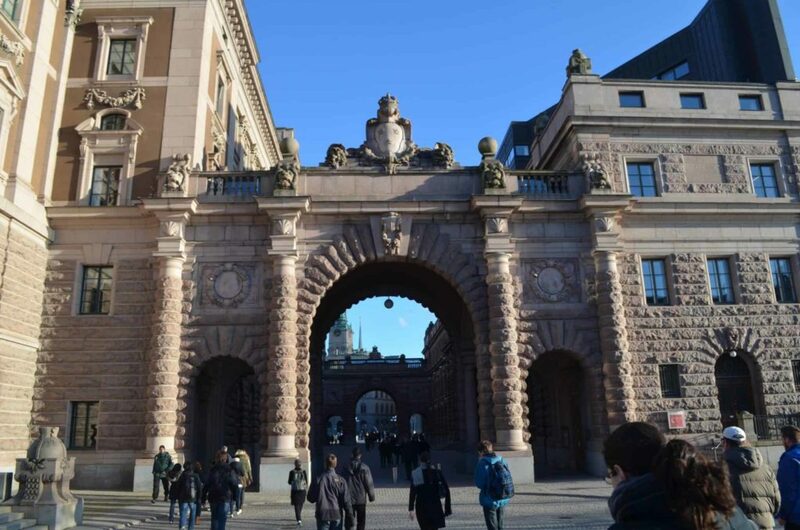 Gamla Stan is also home to some of Stockholm’s most impressive buildings including the Nobel Museum, Stockholm Cathedral, and the Royal Palace. Fun fact: ABBA used to live in this part of town- you can still find the building. 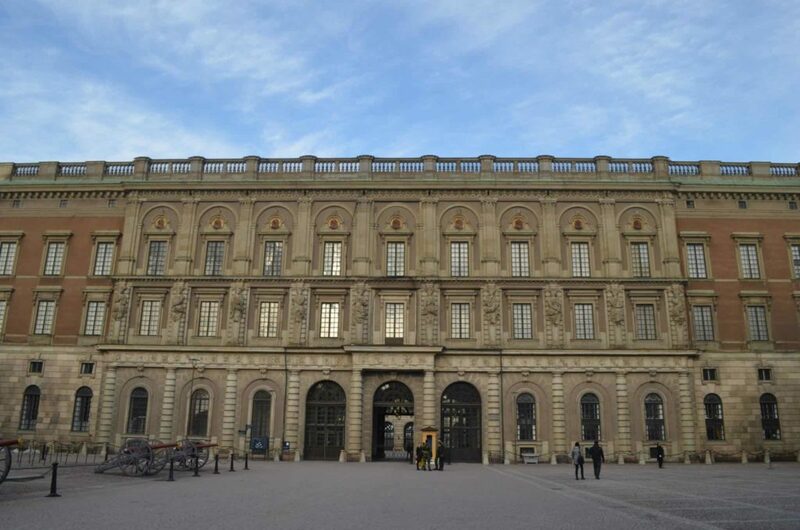 Like any good European Capital, Stockholm boasts a beautiful Royal Palace. Located on Stadholmen in Gamla Stan is open to visitors (but check the schedule before visiting, when I was there it was closed Mondays). Although the Palace is not the actual residence of Swedish Royalty (you can find them in Drottningholm palace), the Royal Palace is still considered to be a working palace as it where the offices for the Royal Family and the Royal Court of Sweden are located. In a nutshell, this means they have guards. Why is this exciting? Because the guards for the Swedish Royal Palace will actually talk to you, unlike many of their European counterparts (ahem England). Go ahead and say ‘hi’ – I dare you! The tourist and local favourite, Drottninggatan is a major pedestrian only street. Usually packed with people it’s a fun area to wander and, if your wallet can afford it, shop! Drottninggatan is the main shopping area of the city, and here you can find everything from big chains to smaller, more specialized shops. The main square of Stockholm, Sergels Torg is probably the city’s most central spot. It is here that people will rally for demonstrations, to celebrate Swedish sports wins, and to meet friends. It also makes a great place to take a break and people watch. 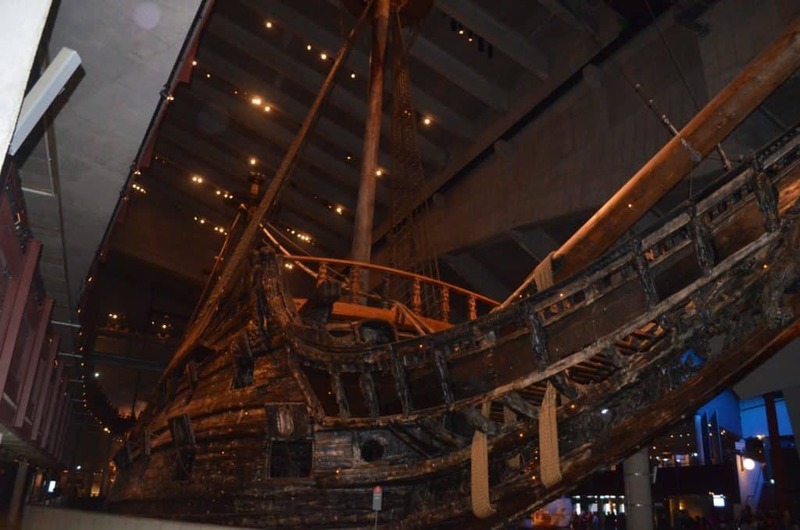 As an adamant museum avoider I was shocked when I found myself purchasing a ticket to the Vasa Museum. But, after a friend in Copenhagen told me I HAD to see it I decided to take his advice- and was I ever glad I did. If you only have time for one museum during your stay- go here. Spend a few hours with an impressive a monster of a ship that sank in the harbour in the 1600s, only to be discovered and reclaimed over 300 years later. It’s incredible. 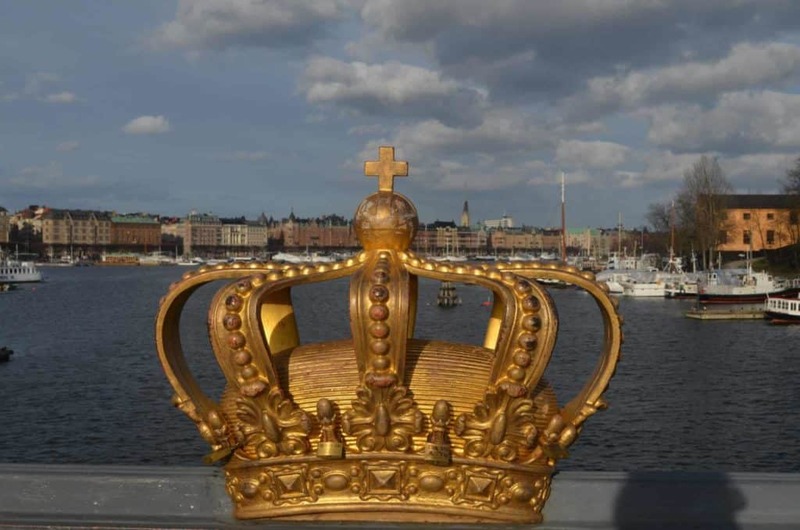 Stockholm is another city taking advantage of their tips-only city tours, and being one of the top rated things to do in the city, it’s definitely worth your time. Tours meet at Sergels Torg and run about 1 hr 30min or so. 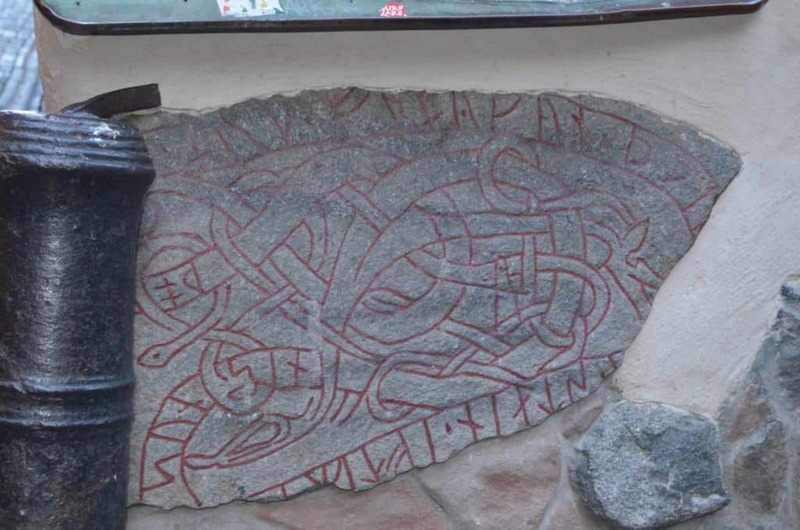 I took the Old Town tour where we spent our time learning about the city’s dark history, finding traces of Viking history, and checking out ABBA’s old home. Check the schedule online to find tour times and dates. Two words of advice in this incredibly expensive city: Grocery Shop. Although there are lots of restaurants and cafes, the prices are jaw dropping. Example: I paid the equivalent of $17CDN for a bowl of soup. And no, it wasn’t anything fancy or special.That being said there are many popular places to eat, especially in Gamla Stan. If you are looking to eat out on a weekend make reservations ahead of time as these places fill up fast. In terms of alcohol, well that may be scarier than the price of food. If alcohol is a must, try buying your own at one of the cities liquor store (note that they have normal working hours and are not open late or on Sundays). 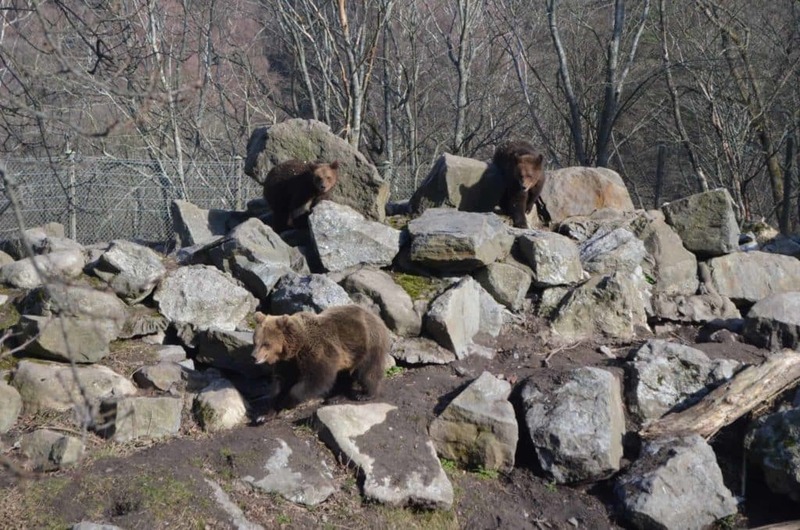 For the best deal, do as the locals do and sign up for a 2 or 3 day cruise of the Baltic area. 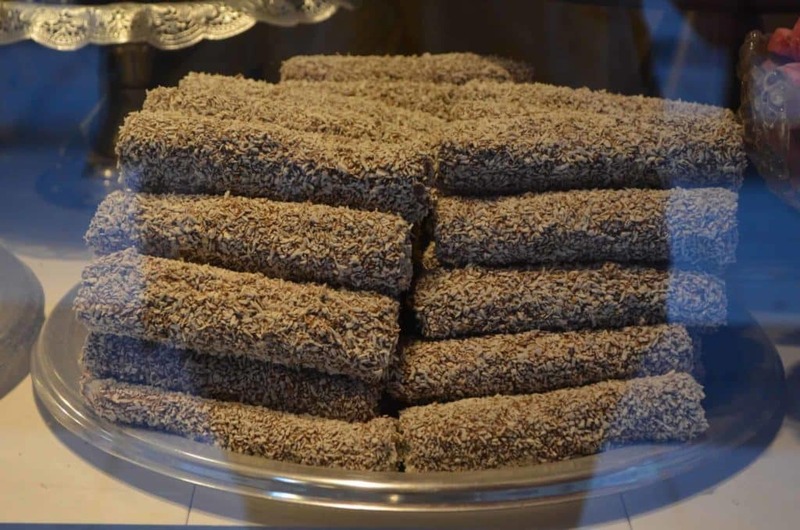 Such a useful post – I did my first trip to Scandinavia this spring (a long weekend in Bergen, Norway) and have definitely got a taste for it, and I think Stockholm might have to be my next stop. Sounds very similar to Norway in terms of the price of food and alcohol though so I may need to save up a bit first! Oooh I would LOVE to go to Norway- and Bergen looks gorgeous! Apparantly Norway is the most expensive of the bunch so you be a little luckier in Sweden! I would love to visit Sweden and Stokholm in particular. Love your viking illustration on the first picture by the way. 10 Euros for a beer, bargain! No wait….. no, thats not true at all O__O, thats pretty steep! I don’t normally mind paying around 7 but 10 is ridiculous! Great guide Hannah, I havn’t been to any Scandinavian countries yet, I keep getting put off by the price – They all seem to be really expensive! They are expensive but, although I haven’t been to Norway yet, I’ve loved my time in the rest. Definitely worth saving for! 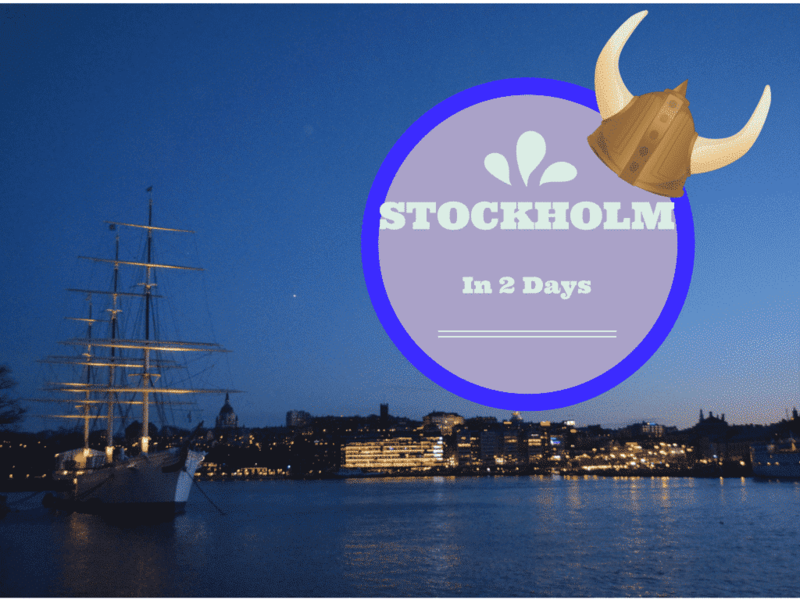 I havent yet been to Stockholm but we would probably follow your itinerary to a T; I can only imagine spending a few days there, so knowing that you can fit all of the main highlights into 48 hours is awesome! I would love to go back to see a little more but given the costs 2 days allowed me to see quite a bit! Sadly the soup wasn’t that special. And it was in a cafeteria style place, not even a real restaurant! We spent a day in Stockholm on a Baltic cruise and loved it – definitely planning to return for a longer visit! We also visited the Junibacken (Pippi Longstocking) museum – it’s fun for anyone visiting with kids. We had to skip Vasa because the lines were so incredibly long so will have to see it next time! I hadn’t heard of the Junibacken- great idea for kids! Very helpful info….I would love to visit there some time. I would LOVE to do a Baltic cruise! Always wanted to go to Stockholm, as well as many places around that area. I have never been to Stockholm but appreciate your tips! And I agree, those treats look like they would be delicious! I know Stockholm pretty well and I think you have a nice list of what to do in this city. During summer a boat trip to all the islands just outside the city is great and they have a nice food market and some great modern art museums. I love museums and Stockholm have some great ones! I’m hoping to visit Stockholm next year so this is a very useful post for me (bookmarked it 😀 ). I visited Oslo this year, I’m sure it can’t be more expensive. But the accommodation did seem scary, luckily I’ve found a nice apartment on Airbnb. Hope it helps for your visit! I would love to visit Oslo one day too…but yes it’s supposed to be even pricier! I’ve been in Stockholm for a weekend a long time ago, but when I saw your pictures I remembered some of the poi. Nicely written. Great guide for Stockholm. Completely enjoyed reading the post. Wonderful suggestions! I used to live in Stockholm, but as a student on a severe budget. Oh I can imagine how difficult that would be! Okay. You’ve convinced me to go to the Vasa museum! It’s seriously cool. And I don’t say that lightly as museums normally bore me!